Recent flood events, especially in LA, TX, FL and along the East Coast, have reinforced the need for contents coverage on flood policies. Adding contents coverage to a flood policy provides customers an added level of protection in the event of a loss. It also provides your agency with a sense of security about errors and omissions risk knowing that contents coverage was offered. To help you market the contents coverage to your customers, you can use eMarketing templates and postcards that can be ordered through the Selective Online Marketing Portal. Easy to use, these tools are a great way for you to strike up a conversation with clients on the importance of having contents coverage in place. As an added service for you, Selective will review your flood book of business and identify policies without contents coverage in place. If you're already doing business with Big "I" Flood, contact Selective's Flood Business Development team at floodsales@selective.com today for a list of your policies without contents coverage. If you need any other assistance or have further questions, contact Selective at (877) 348-0552 ext. 1033 or 1023. Not yet registered with Big "I" Flood? It's easy to get started today. Simply visit www.iiaba.net/Flood for all the information you need to roll your book of business or begin selling flood insurance. Join Lisa Gelles, AIG Private Client Group Business Development Manager as she breaks down AIG's Private Client Group's umbrella coverage. In today's litigious society, one lawsuit can do significant damage to even the wealthiest of individuals. Adequate liability protection is more important than ever. A coastal condo owner was doing laundry when socks blocked the drain. The condo was completely flooded as was the unit below. 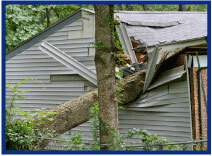 These homeowners have a similar problem: large losses combined with mixed coverage needs. Fortunately Big "I" Markets has coverage for all of them and more with Non-standard Homeowners or Rental Dwelling, Non-standard Condominium Unit Owner, Non-standard Renters, & Vacant Dwelling - Non-standard. Tuesday, March 14 - 2:00 - 3:00pm EDT. "How to Use Competencies to Hire Top Performers" Big "I" partner Caliper recently completed a massive, multi-year research project to identify the competencies that point to success in a variety of jobs across all industries. And they'd like to share their findings with you. Click here to register. Thursday, March 23 - 1:00 - 2:00pm EDT. 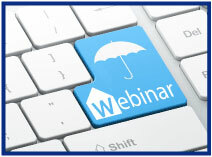 "AIG Private Client Group - Personal Umbrella" Join Lisa Gelles, AIG Private Client Group Business Development Manager as she breaks down AIG's Private Client Group's umbrella coverage. In today's litigious society, one lawsuit can do significant damage to even the wealthiest of individuals. Adequate liability protection is more important than ever. To learn more about AIG Private Client Group's umbrella program, please Join Lisa Gelles, AIG Private Client Group Business Development Manager on March 23 at 1:00pm EDT. Click here to register. Recently I was shown the 2016 National Flood Insurance Program data by Ginny Pierson, the head of Big "I" Flood, our endorsed flood program with Selective Insurance Company. This data fascinated me. "Wait, in all of my home town of Madison, WI, there are 147 flood policies? With a river, countless streams, three lakes and an isthmus?" The average premium is $369 with a limit of $292,000 and total premiums in the whole capital city of $84,000? Source: National Flood Insurance Program Data: "Policy Statistics"
Question for you: Would you be interested in a valet placement service for flood insurance? I'm particularly interested in states where flood policies are rare. (Perhaps too rare?) In Minnesota, Michigan, Wisconsin and Ohio, only about one in every 150 households has flood insurance. The idea would be that as a service to members, all you would have to do is give the name of your client on Big "I" Markets and the rest is taken care of for you. A huge amount of flood insurance must be written by agents with less than a handful of policies. 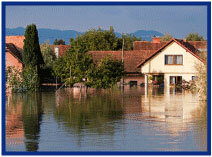 We suspect agents where flood is rare refer clients directly to the NFIP. Instead, how about a no-muss, no-fuss valet service where you knew your customers were handled by an expert? You would retain ownership of the policy expirations if you wanted to take the policy over. If that idea resonates with you, Ginny and I would like to hear from you. Congratulations to this week's winners (We had a tie* so there are six) - Julie Seibold (SC), Kevin Morrison (GA), Peggy Sands (OH), Richele Glidden (NH), Ufemia Lind (NE) & Ed James (FL). Congratulations to our agent in New York on an Affluent Homeowner New Business sale of $15,256 in premium!